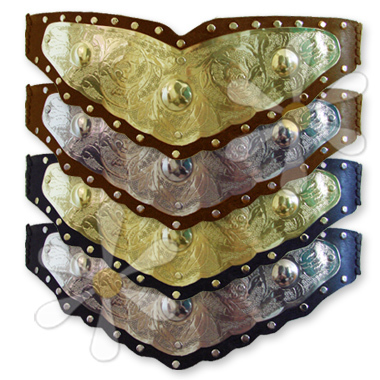 This belt features a wide metal plaque, etched with intricate tribal Berber patterns. The metal is strong but malleable enough to shape to your waist for comfort. BRILLIANT! The sides are hand-braided leather and long tabs lead to the buckle, which anchors the fit around the back. 100% genuine world famous Moroccan leather.